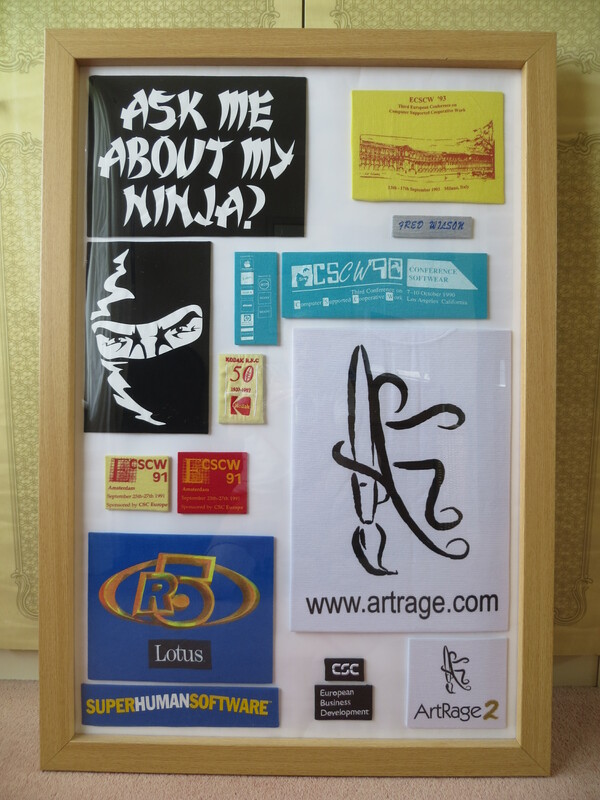 Last Sunday I finished cutting out the logos from the T-Shirts, stretched them over some thin cardboard, and then mounted them as a single display on a white background ready for framing. I’m pleased with the result. I always thought that the graphics themselves would be quite striking, both individually and as a collection; and I think the framed result below bears that out. I’ve taken photos of each individual logo, so, perhaps in the future I’ll make use of them to create some other images or to decorate a set of items such as mugs, cushions – or even T-Shirts! In the meantime, this journey is going on the ‘completed’ pile!